Although it was the men who went off to fight the war, the people left behind at home also had a part to play in the war. The Home Front is the name given to the effect of the war on people’s everyday lives. When the war began in September 1939 the government knew that large cities would be the target for German bombs and that casualties would be high. Evacuation was introduced to move school children, teachers, mothers with children under the age of five and disabled people out of the cities to the countryside where there was little risk of bombing raids. Evacuation was voluntary and the government expected more than 3 million people to take advantage of the scheme. However, by the end of September 1939 only 1.5 million people had been evacuated and most of those returned to their homes when there were no bombing raids. When the Battle of Britain and the Blitz began in 1940, evacuation was re-introduced. The children to be evacuated assembled in the school playground. They all wore name tags and had to carry their gas mask as well as their belongings. After saying goodbye to their parents they travelled by train or by coach to their destination where they met the people who were to house them. 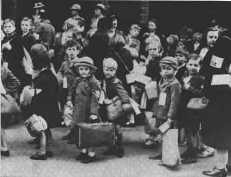 Most of those evacuated had no idea what their life as an evacuee would be like nor when they would see their parents again. Britain has always imported food and other goods from overseas. Being an island this means that goods come into the country by ship or air. In 1939 most goods were transported to Britain by ship. 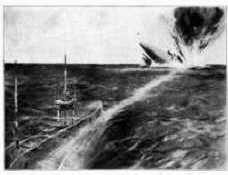 From the beginning of the war, one of Hitler’s tactics against Britain was to use submarines to torpedo ships bringing supplies to Britain. This meant that imported goods were in short supply. The government introduced rationing to make sure that everyone had a fair share of what was available. Every man, woman and child was given a ration book for food and had to register with a grocery store. The grocery store was only given enough food for the people on their list. When someone bought rationed food, the grocer stuck a sticker in his or her ration book to show that that week’s ration had been purchased. 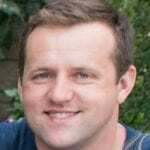 At first only butter, sugar and bacon was rationed. By the middle of 1940 all meat, eggs, cheese, jam, tea and milk was also rationed. Clothes were rationed from June 1941 due to a shortage of raw materials and also to allow the factories and workers to concentrate on producing weapons, aircraft and ammunition for the war. Vegetables were not rationed but were often in short supply. People who had gardens were encouraged to plant vegetables instead of flowers. The government called this ‘Digging for Victory’ and produced posters to persuade people that they were helping to win the war by planting vegetables. The only fruit that was available was that grown in Britain e.g. apples, pears, and strawberries. Bananas, oranges, peaches and other imported fruit were not available at all. Dried egg powder was available and was used to make scrambled eggs. Everyone was given a book of 66 coupons to use to buy new clothes for one year. This was cut to 48 in 1942 and 36 in 1943. Each item of clothing cost a certain number of coupons. Second hand clothes were not rationed and children’s clothes were handed down from one child to the next or sold on to other families. The government used the slogan ‘Mend and Make Do’ to encourage people to repair or patch torn or worn clothes. As more and more men were ‘called up’ to serve in the forces, women were called upon to take over the jobs traditionally done by men. Women worked in the factories producing aircraft, ammunition, weapons and other goods needed for the war effort. They worked long hours and could earn as much as 40 shillings (£2.00) a week. This was quite a good wage in the 1940s but was less than the men had been paid for doing the same job. The women who worked in the fields and on farms were known as Land Girls. They were given a uniform and had to live on the farms where they were sent to work. They worked long hours and the work was hard. 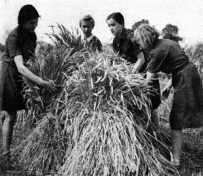 Land Girls were paid 32 shillings (£1.60) per week. 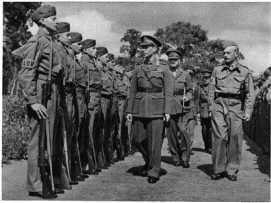 The Home Guard or Local Defence Volunteers (LDV) was formed in 1940 when there was a real risk that Hitler might invade Britain. The men that served in the Home Guard were all volunteers and were mostly those that were too old (over the age of 40) or too young (under the age of 18) to serve in the forces. They became known as ‘Dad’s Army’. The men were issued with a uniform and an armband with the letters LDV to show that they were members of the Home Guard. Members of the public were asked to donate any rifles, pistols or shotguns that they might have to provide the Home Guard with weapons. Those that were not provided with weapons made makeshift weapons from pieces of pipe or knives. Most of the men had full time jobs and trained in the evenings. As well as preparing themselves to be ready to fight off a German invasion, the Home Guard also guarded buildings that had been bombed to prevent looting, helped to clear bomb damage, helped to rescue those trapped after an air raid, guarded factories and airfields, captured German airmen that had been shot down and set up roadblocks to check people’s identity cards.